Guessing Poch committed to either Spurs or Real? Absolute stupidest time to do it. 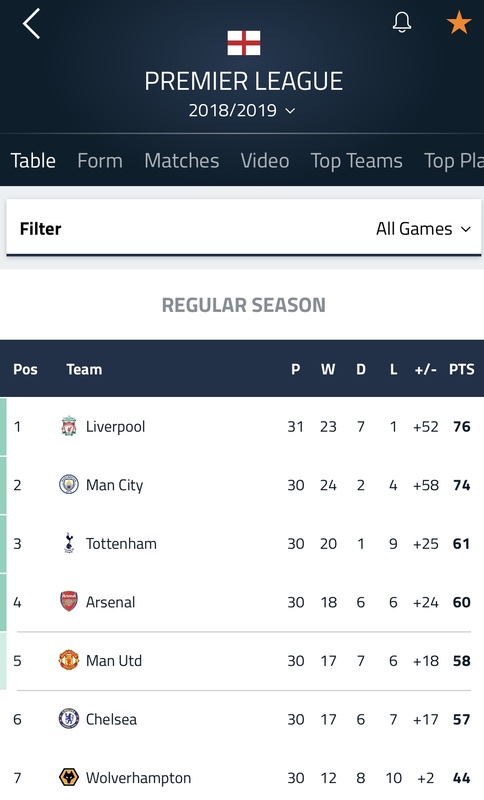 Maybe they realise it’s going to be tough to make top 4 but are happy with Ole anyway. It sort of puts it to bed. I wasn’t thinking of that. They had a great run when he was first appointed and looked on track for top 4. But their most recent games have been not so good. So the question is, Is OGS a good manager who will keep them playing as well as they can with their playing list, or did he just enjoy the normal bounce that often occurs when new manager is appointed? The jury is well and truly out on that one, and I wouldn’t have made any appointment until I knew the answer. I’ve known the answer for ages. Not a lot of great coaches left on the market at the moment and even more so with ZZ decently reappointed back at Real. Most of my mates are Man U supporters and they are right behind Ole and clearly the club is also. This might be the solidarity required to get them into top 4 or even challenge in the CL, although that is unlikely. I think it’s a good call. That’ll change pretty quickly if they lose a couple of games early next season. I think they are actually getting accustomed to just being a top 5-6 side rather than the best now. He’s United’s DiMatteo, except he won’t win the CL. I’m glad he’s got the job. Had a nice little honeymoon period but that’s all it is. Pool and arsenal fans spend more time talking about United than United fans. Bunch of north Melbourne equivalents you are. HAHAHA!! You Uniturds do the same about us and Citeh. It is a PL discussion thread is it not? As I said, I’m glad Molde got the job. It’s very unusual for any Liverpool fans to still be active in here, post XMas. Normally well and truly hibernating. Not a good day. Bombers lose and now I’m at London Stadium watching West Hamington looking just as interested and motivated. 0-2 half time against Everton. West Ham fan match day thread plagiarising Blitz. Up for Liverpool v Spurs. Hopefully a good quality game. Me too but these Monday morning games Melbourne time are killing me.